The leading man still considers himself first and foremost a character actor. But don’t tell that to Guy Pearce. A leading man, oft-employed as a dashing cad (“The King’s Speech”) or chiseled villain (“Iron Man 3”), he still thinks of himself as a character actor. “Vanity goes out the window,” he says. 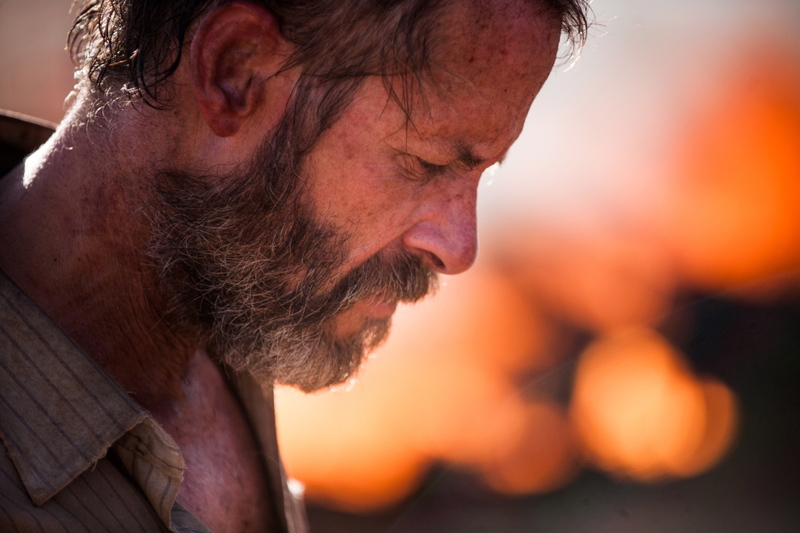 Especially in his latest film, “The Rover.” He plays a man whose car is stolen in a post-apocalyptic Australia. The power grid is down. Water is at a premium. So bathing, shaving or wearing anything other than stained and torn shorts is not an option. His character in the film seems cruel, monomaniacal and ruthless. All he wants is that stolen car. He doesn’t care who he has to shoot or make an alliance with to get it back. Pearce is winning some of the best reviews in years for the film, for “a performance of pure controlled ferocity,” as Kenneth Turan wrote in The Los Angeles Times. Pearce, born in Britain and reared in Australia, was the “L.A. Confidential” star who didn’t turn into Russell Crowe. He had his shot, but 2002’s “The Time Machine” and other Hollywood efforts didn’t make him a superstar. He had his dark years – drug addictions that he has spoken of, after he found the wherewithal to quit. And then he found his niche – leading roles in offbeat thrillers, such as “Memento,” chewy supporting roles in “Traitor,” “The Hurt Locker,” or “Factory Girl” where he did spot-on impersonation of Andy Warhol. But co-starring in “The Rover” with Robert Pattinson of “Twilight” gave him a taste of what he missed. “I don’t know if I’d be able to handle it as well as him,” Pearce says of Pattinson. “I’m certainly glad I avoided that, but I was never in a position where it was going to get that out of hand, for me. Some people naturally resonate a kind of energy that draws the crazy fans, and lots of them. Rob has that magnetism, and invites that sort of enthusiasm. Something about Australia has always suggested “end of days” in the movies. From “On the Beach” to “The Road Warrior,” the Outback has been a favorite vision of what the world will look like if the environment, the economy and civilization break down. But it’s not just the landscape. Many of those “end times” films originated in Australia. Might something in the national character at work?